Location: Sutton Valence, Kent, England. Ownership / Access: English Heritage, Open to public. 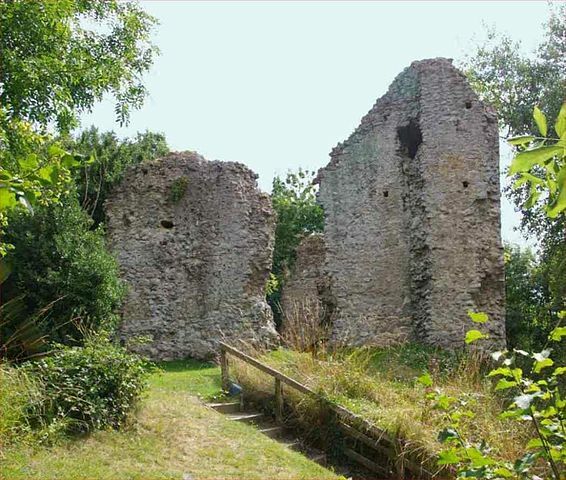 Notes: Sutton Valence Castle is a ruined medieval fortification in the village of Sutton Valence in Kent, England. It was built in the second half of the 12th century, probably by Baldwin of Bethune, the Count of Aumale. Overlooking a strategic route to the coast, the original castle probably comprised an inner and an outer bailey and a protective barbican, with a three storey high keep on its southern side. It was passed into the Marshal and de Montfort families, before being given by King Henry III to his half brother William de Valence in 1265, from whom the castle takes its current name. It was abandoned in the early 14th century and fell into ruin. In the 21st century the castle is managed by English Heritage, and the remains of the keep are open to the public..